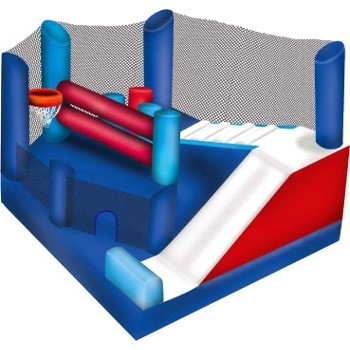 Sport Combo 5-1 Features Bouncing Area, Pop up and Log Obstacles, Climbing Steps, Slide, Basketball hoop, safety entrance step. 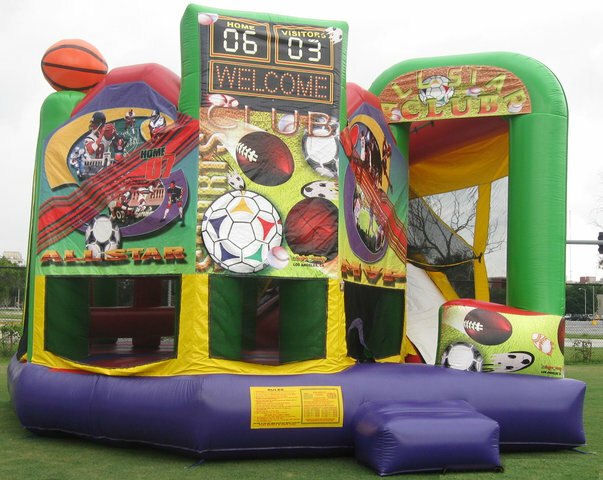 Great for all sport events, like soccer, baseball, football and basket ball. Great Layout can be used wet or dry. Please specify if you will be using wet.